The Reach Out project was formed in the GMB North West and Irish Region under the auspices of the Regional Secretary, Paul McCarthy. The project is funded through the Union Learning Fund (ULF) and is specifically designed to help build the network of Union Learning Representatives across the region in partnership with employers as part of the national strategy for developing workforce skills. GMB Reach Out to offer a range of fully funded distance learning courses. In order to be eligible, learners must be over 19 and have lived in the EU for the last 3 years. 'Make IT work for you' If you want to access the Internet and get to know about banking, shopping online, job hunting, keeping in touch with friends and family by using email- all whilst staying safe online- then this free, online basics course is for you! Whether for work or leisure, our ITQ courses let you choose which units you want to learn and will make you confident in using a range of information and communication technology and software. There are a number of modules to select from including Word Processing, Spreadsheets, Desktop Publishing, Databases and Presentation Software. 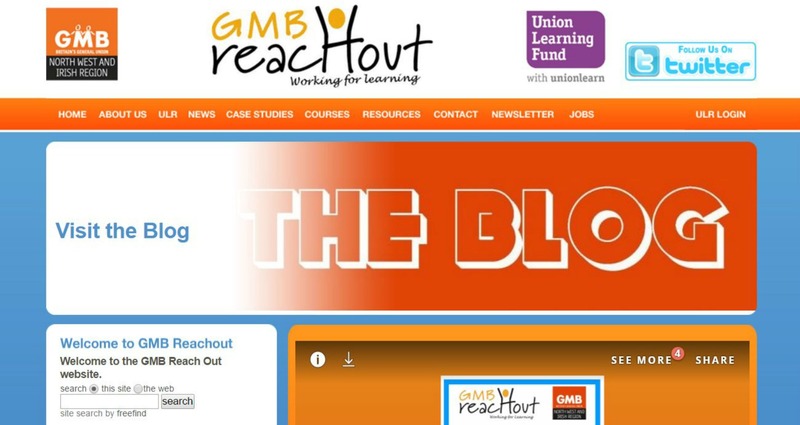 GMB Reachout run a series of Work Clubs across our network of learning hubs to help individuals gain the right skills to get back into employment. Employability skills can be a great benefit when looking for a new job. We can offer advice on completing job applications and knowing where to look for current vacancies. We can also help you gain worthwhile skills to maintain employment such as improved communication skills and how to ensure you are an adaptable worker. GMB Reachout help them you gain the right skills to get back into employment with our Skills Support for Redundancy Programme. The Level 1 and Level 2 courses in Functional Skills Maths will help you improve your maths skills e.g. manage money and understand your wage slip. The courses lead to a City & Guilds qualification. Candidates take an initial assessment and our trainers will use the results to agree with you the most appropriate level of course to follow. The course is assessed via an externally marked exam. Level 2 is a nationally recognised certificate equivalent to half a GCSE at Grade B.